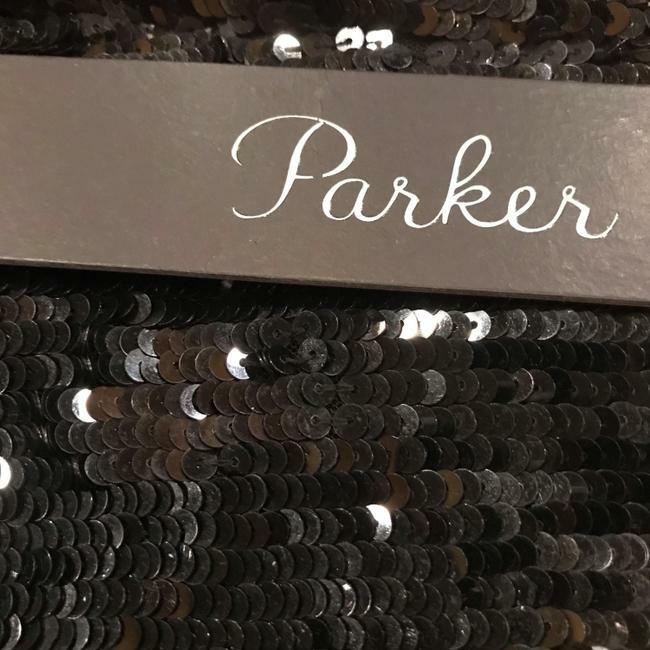 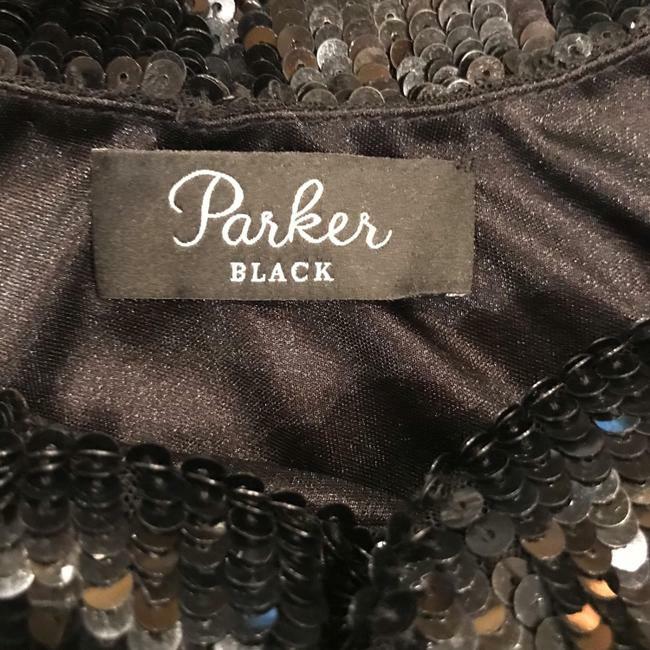 This black Parker sequin dress is a direct showroom sample . 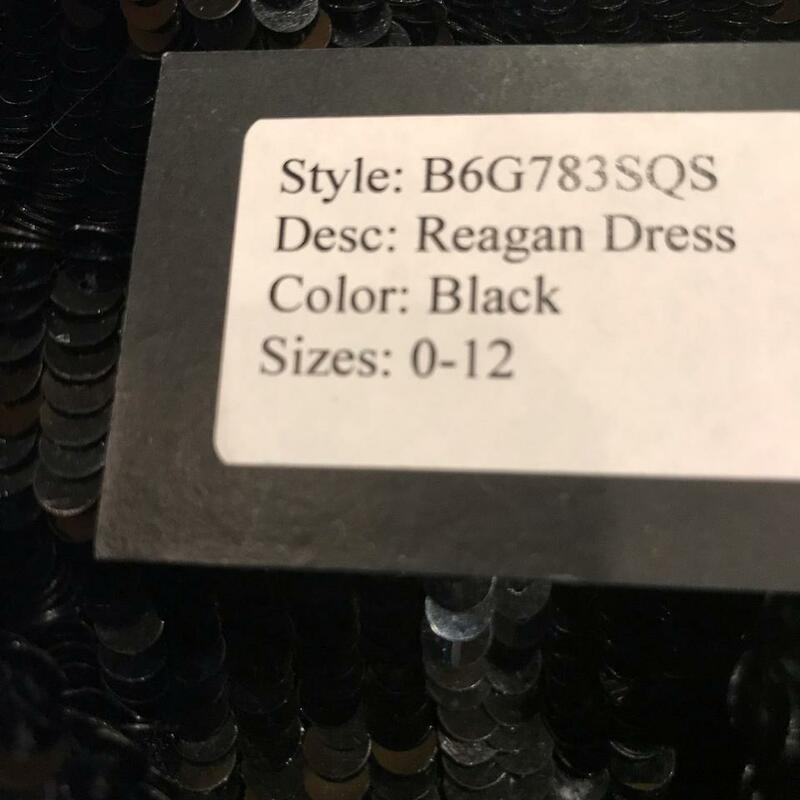 The attached tag says size 0-12 but this particular dress fits a US 6/8. 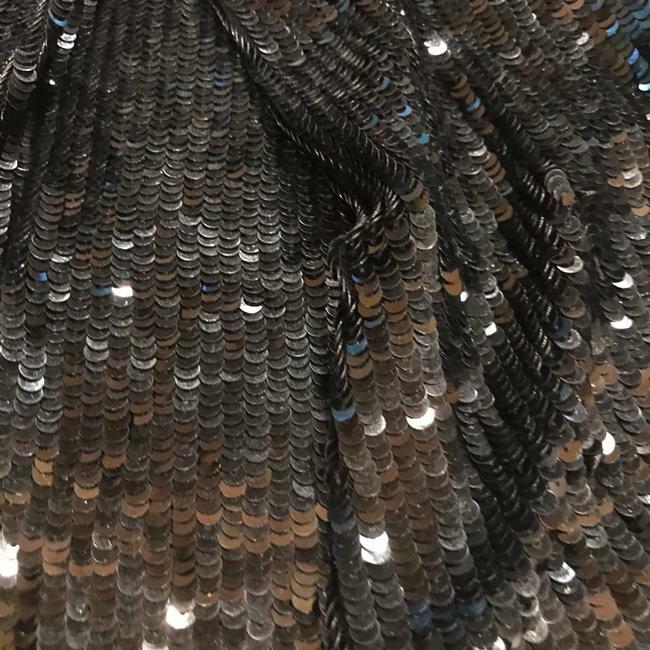 There is some stretch to the fabric for comfort. The perfect holiday or formal dress at a great price! 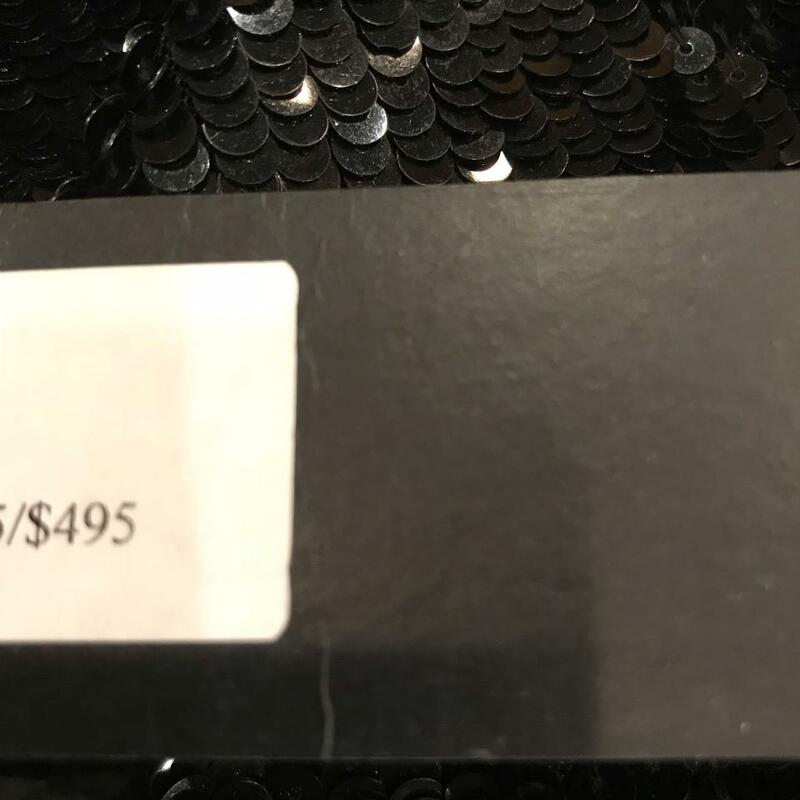 This dress retails at $495 with a wholesale of $225. 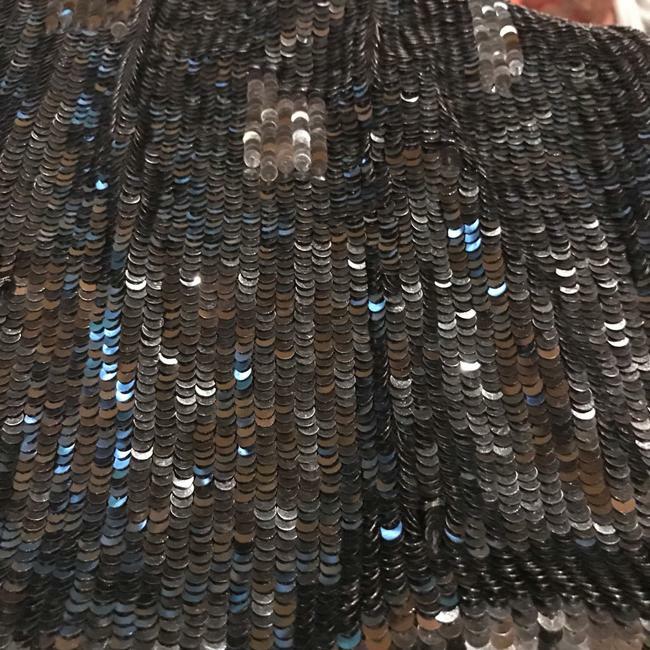 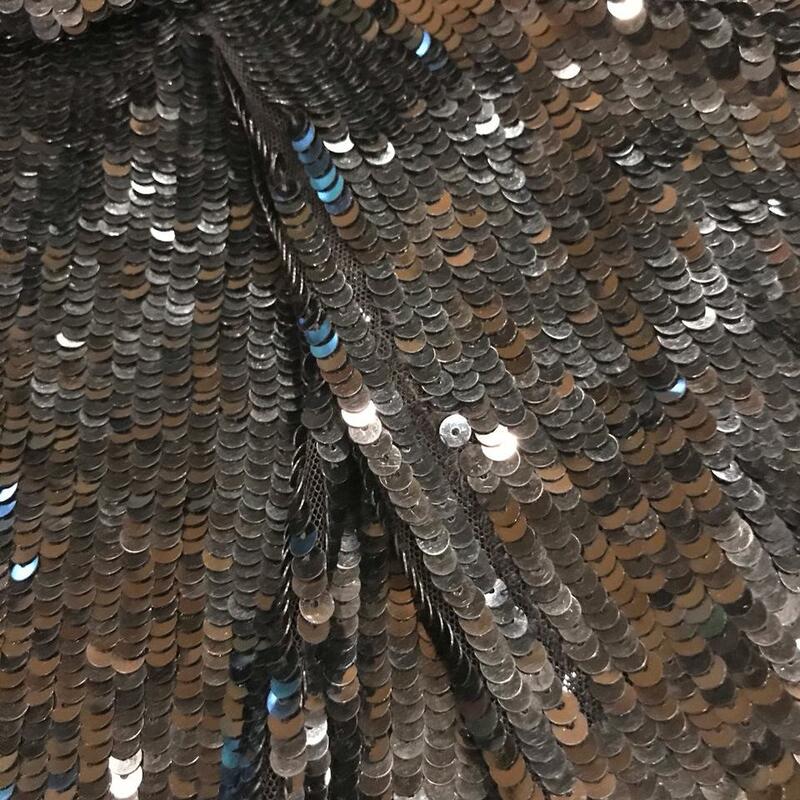 *Please note there is a small 2 inch section of sequins missing but it is unnoticeable. 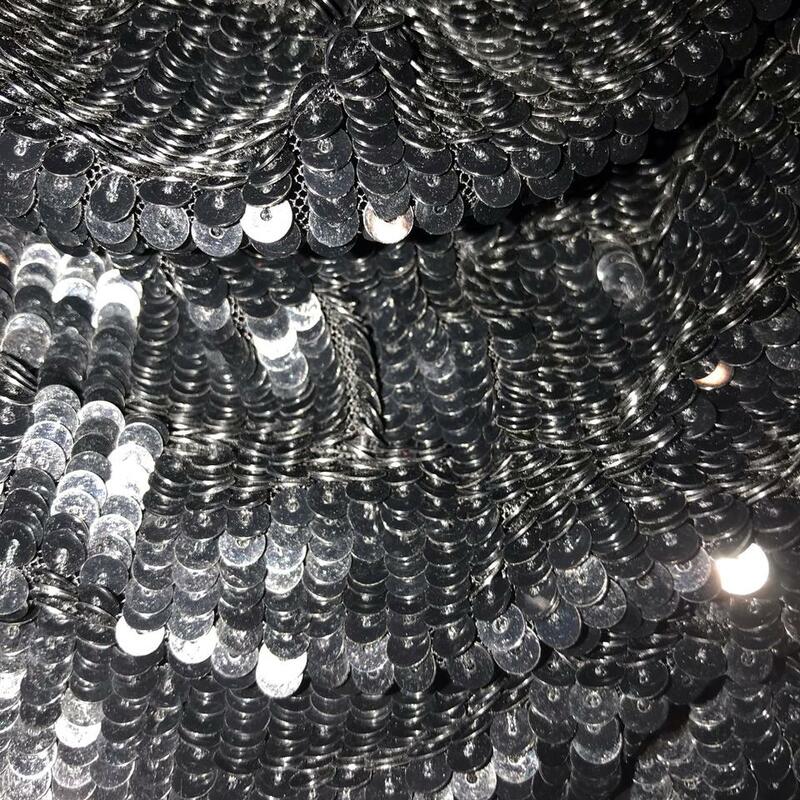 See picture #2.